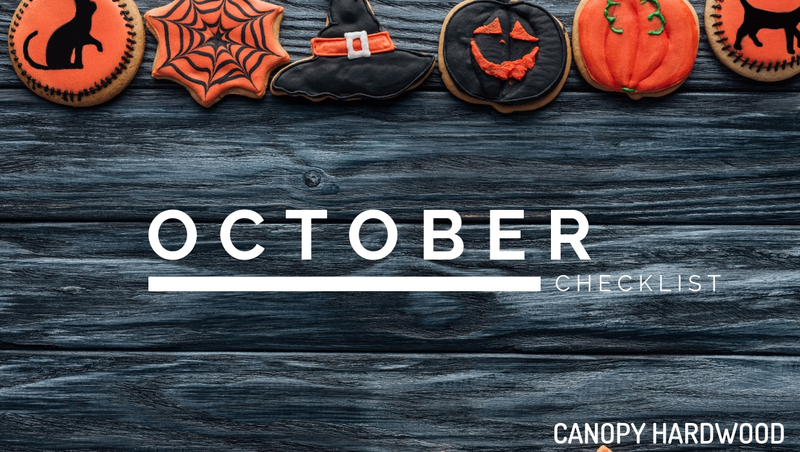 It’s a spooky season and what better than a checklist to make sure you are ready! If you are planning on decorating for Halloween get it done this weekend. The weather is going to be nice and then you can sit back and enjoy your decorations. Cleaning rain gutters is a good practice as well as inspecting them and downspouts for repairs that might be needed. If you have trees in your yard you know how important it can be to blow away any fallen leaves or pine needles with your Husqvarna Blower or Stihl Blower. If you are still looking to clean up the outdoor appearance of your yard trimming any dead limbs can go a long way. This will also help remove any potential safety hazards during the winter ice and winds. Do you have a fireplace? If so, have your chimney and firepalce cleaned and/or serviced before you light your first fire this season. This room can get a lot of traffic and catch papers that the kids bring home from school. Take a few minuets to go through and tidy up any clothes hanging around. Sort through papers and consider adding a decorative bin or library books that need to be returned. Take a few minutes to turn off the water supply to exterior faucets. It is also recommended to disconnect, roll up, and store hoses for winter. This can help prevent frozen pipes this winter. If you have outdoor furniture or a grill that you are planning to leave outside, you should cover them up or store them. Covering up your grill and outdoor furniture will help protect them from the elements and keep them in top top shape for next spring. Have fun with nature! Fall is an amazing time to bring in the outdoors. Decorate your house with fall foliage, gourds, pumpkins, and other fresh fall fruit! Keep it simple. Time to have your rugs and carpet professionally cleaned before company comes for the holidays. Consider rotating area rugs to help prevent one side from becoming more faded or worn than the other side. As always you need to put your safety first. Take a moment to test smoke detectors and carbon monoxide detectors in your home. Replace any batteries if needed. While it may seem like the holidays are far away it is never too early to get started! Start creating a list of possible gift ideas when an idea pops in your head. This will also help keep you on a holiday gift budget. Give us a call today, your hardwood flooring expert at (864) 595-3850 to discuss your hardwood flooring options. We have large selection of LVT, tile, carpet and hardwood flooring. Next Next post: What are the Benefits of Hardwood Floors?